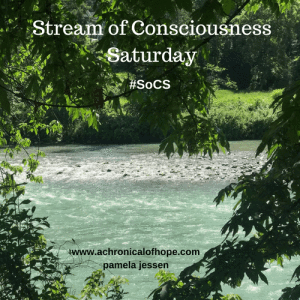 This post was written in response to Linda G, Hill’s Stream of Consciousness Saturday prompt. This week’s prompt is ‘mean‘. Feel free to join in or read other posts. Nobody expects an adult woman to complain about having a mean mother. It’s considered too childish or an exaggeration, and yet there some, fortunately not many, women who have toxic mothers, also referred to as narcissistic mothers. I’m one of them. My name is Lucy and I have a toxic mother. I feel like an addict owning up to an addiction. I’d been thinking about writing a post about this for a long time, and when I realised that today’s prompt word was ‘mean’, I saw it as a sign to own up once and for all. It’s a first step, and it actually feels great to be able to get it off my chest and share it with readers in cyberspace. I didn’t realise why my relationship with my mother was so distressing until recently, a couple of years ago, when I started hearing about the topic and investigating in psychology blogs, specialised articles and manuals. As a child I always felt guilty about being the cause of my mother’s anger and disdain. I wasn’t clever enough, pretty enough, or good enough at anything. She never liked my friends and she especially never liked my boyfriends. She tried to convince me I was bad to the core, from birth, because when I was born I looked at her with ‘evil eyes’ and she knew I would cause her problems. When she was feeling especially mean, she would tell me she was convinced I had been changed at the hospital and that someone like me couldn’t be her daughter. I would never be worthy of her love and kindness, so she refused to love me unless, and for a short time, I was completely compliant to all her requirements, be it the clothes I wore, the friends I had, the food I ate, the places I went to etc., well into my adult life. When other people are present, there are two possible scenarios. In the first, she makes an effort to point out my good points, because she’s responsible for all my achievements, as if I’m a trophy, which is why only those who know her well (and many do, eventually) can see it’s an act. In the second, she humiliates me pointing out my failures and lack of achievements, because I didn’t follow her advice. She constantly reminds me that if she hadn’t been my mother I’d be a useless wimp, or in the second case, that’s what I am because I don’t pander to her demands. I left home when I was 17 to work as an au pair in France and then left for College when I was 18. After College I moved to Spain. I’m 59, so I haven’t lived under my mother’s roof for 42 years, but that doesn’t stop her being mean, by phone, when she visits me, or when I visit her. Her latest (last week, when I visited her) meanness: you’re a wimp, you’re too fat, your hair’s a mess, you’re useless, I always have to clean up after you, your work isn’t important, you didn’t bring up your children well enough, your husband is worthless, and of course, she hates my novels: ‘How can you write those awful things’, she says. My character also has terrible flaws, I’m ungrateful, selfish, argumentative and insolent, because I don’t let her rule my life. Toxic / narcissistic mothers have two types of husbands, the enabling type, who simply pander to their narcissistic needs by supporting them at all costs, in spite of their cruelty to their children, or the missing husband, the one who leaves and never looks back. My father was the latter. I’ve never known how I should react to this continuous, mental abuse, because as I said, I wasn’t aware, although I did suspect something wasn’t right, my mother had a psychological condition. When I was a child, I would argue as infrequently as possible, to keep the peace, and I continued doing so for most of my adult life. Most interactions with her leave me feeling emotionally drained, worthless and guilty. Now I know much more about this personality disorder, I am aware, because the experts seem to agree on this, that it’s incurable. There’s no magic pill or therapy to change a toxic mother’s attitude towards her daughter (and although I haven’t gone into this aspect, in my mother’s and many cases, the rest of the world). There’s only one solution for the daughter: to keep contact to a minimum and refuse to be drawn into any type of argument, which will only feed the toxic mother’s ego and give her an excuse to lash out abusively, thereby still maintaining the power to upset, humiliate, and make her daughter feel guilty. I really miss not having had an affectionate and understanding mother, someone I could talk to, ask for advice, or simply chat with, without feeling upset and humiliated. I’m a teacher and I’m very grateful to my own teachers for the encouragement I received, especially as a child and a teenager. I believe in the power of education to improve our lives by giving us access to knowledge and opportunities. As a teacher and a mother I’ve always believed in the benefits of positive thinking, and I make an effort to increase my students’, children and grandchildren’s self-esteem and confidence in themselves and their abilities. Ironically, I have my mother, partly, to thank for this, because I have always been determined not to be like her in any way, so without realising it, she made me the better person. This Stream of Consciousness post was easy to write, because it’s been on my mind for a long time, but it was hard to make the decision of sharing such a personal experience publicly. I’ve decided to post it to purge myself and also in the hope that it may help other daughters, of any age, who are coping with difficult relationships with their mothers. I’m not an expert and this is a vast topic. I’ve simply shared a small fraction of my personal experience. There’s plenty of information on the web if you search for the terms toxic or narcissistic mother, father or parents. It can also affect sons and other close relatives. Feel free to share suggestions, advice, opinions, knowledge, or personal experience in the comments. I’m glad you wrote this. You are wise to keep contact to a minimum and not get drawn into an argument. If it was me, I’d leave/hang up abruptly at the first incident of abuse/meanness and tell her, “I’m not going to take that meanness from you anymore.” If she wants to to talk to you, she has to be nice, or at least not abusive. I wonder if there’s a surrogate mother/grandmother in your life. Thanks for being a teacher. Thank you Joanna for reading and commenting. It’s still hard for me to speak to her the way you suggest, and she just doesn’t care, she goes on, unless I hang up, which I’ve finally done. I loved being a teacher working with teenagers. Now I teach adults, whom I also encourage, although it’s not quite the same. I counseled teenagers for a few years, then adults. I thought adults were easier, but I missed he spontaneity of teenagers. Best wishes with taking care of you. Glad you’ve started hanging up sometimes. It’s a blessing you are aware of the toxic nature of your mom, which is a big advantage. I can relate to you in that my mom is also toxic. She’s over 80 now and still going strong with it. It took a real leap of faith to put this out there. Good job taking the prompt and using it to share your truth. I love how in tune you are to what’s happening with your mother — knowing is the first step. Damn, Girl wrote an excellent post on how to deal with a toxic person you can’t cut entirely out of your life. (Like you, her mom’s a real piece of work.) You might want to check it out. I’m so glad I realised what was going on with my mother, even if it was later in life, in my fifties. It has helped. I’ll definitely look up the post you recommend. I think posting about this toxic relationship can only have positive results for you. I was so sorry to learn about your relationship with your mother. How sad to grow up in such a negative environment. You have the exact right approach to dealing with her – don’t engage. Wishing you peace in your life. Thank you. I wish I’d known more about this condition earlier, but I’m glad I understand what’s going on at last. I think taking charge of our own situations gives us the strength we need. Thank you for writing this, Lucy. I’ve known a mother like yours who was a “friend.” She put me through the wringer, and I always wished I could take her daughter aside to find out how she was, but the mother made sure I kept my distance. It’s girls like her who need this insight. Glad I could prompt you to get it out. Have you read D.G. Kaye’s book “Conflicted Hearts”? I haven’t read it yet myself, but it’s about this very subject. It’s very well-reviewed. Thank you. I’ll look it up.